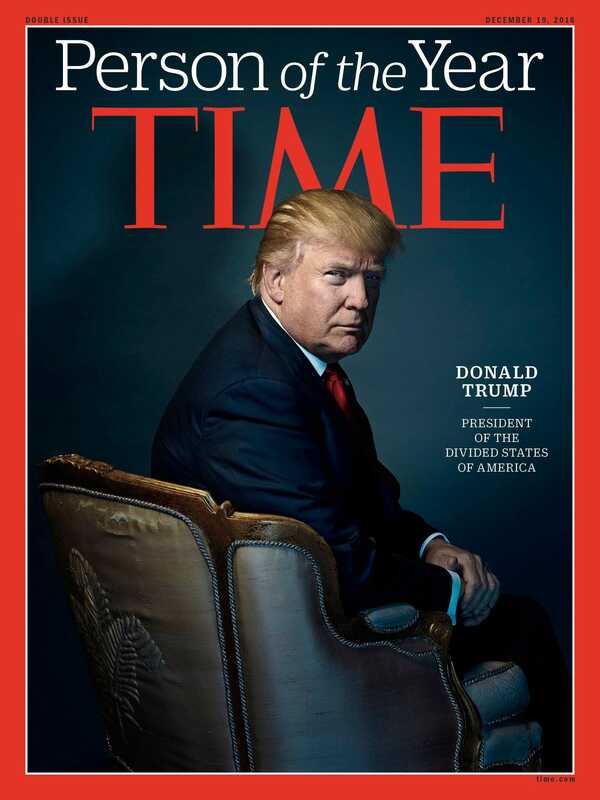 President-elect Donald J. Trump is Time's 2016 Person of the Year, the magazine announced on the Today show. For years, he fed off the disrespect and used it to grab more tabloid headlines, to connect to common people. Now he has upended the leadership of both major political parties and effectively shifted the political direction of the international order. He will soon command history’s most lethal military, along with economic levers that can change the lives of billions. And the people he has to thank are those he calls “the forgotten,” millions of American voters who get paid by the hour in shoes that will never touch these carpets—working folk, regular Janes and Joes, the dots in the distance.